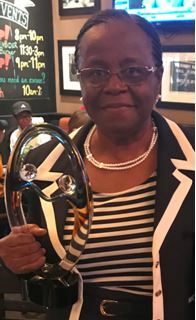 The Vivienne Campbell Award annually recognizes a CFCS foster parent for his/her exemplary dedication and devotion as a caregiver. 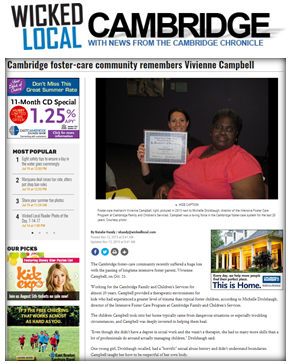 The award was established in honor of beloved foster parent, Vivienne Campbell, after her passing in September 2015. 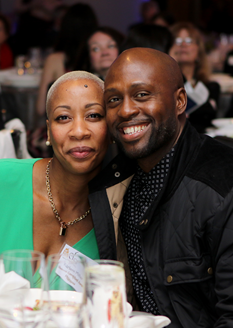 Pictured above: Vivienne and Program Director Michelle Drolsbaugh at the 2013 Foster Parent Appreciation. 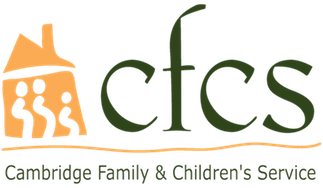 Vivienne was a foster parent with CFCS for 20 years, as well as the matriarch of a network of CFCS foster parents in the Cambridge and Greater Boston area. 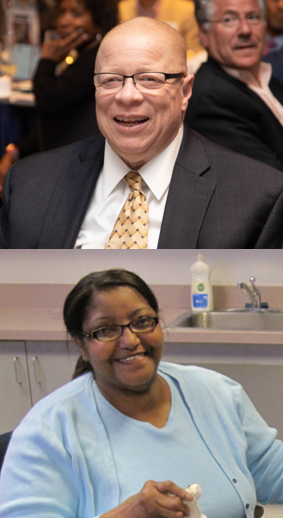 Her passing was a tremendous loss for her family, friends, community, and the many youth in foster care who were offered a safe and nurturing home. She is remembered for her love, optimism, dedication to young ones, contagious laughter, and delicious cooking. Vivienne and her family have opened their homes to over 100 children. 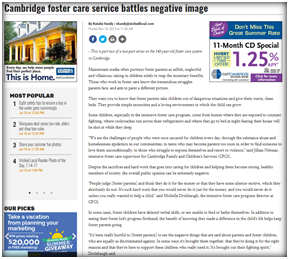 "Cambridge foster-care community remembers Vivienne Campbell"
"Cambridge foster care service battles negative image"